From Nathan Wilson in Australia I couldn't resist a 3x4x5 floppy iCube - those nasty men at the customs office made me pay dearly for it! The iCubes are offset turning cubes and are very counterintuitive to solve - I love them! 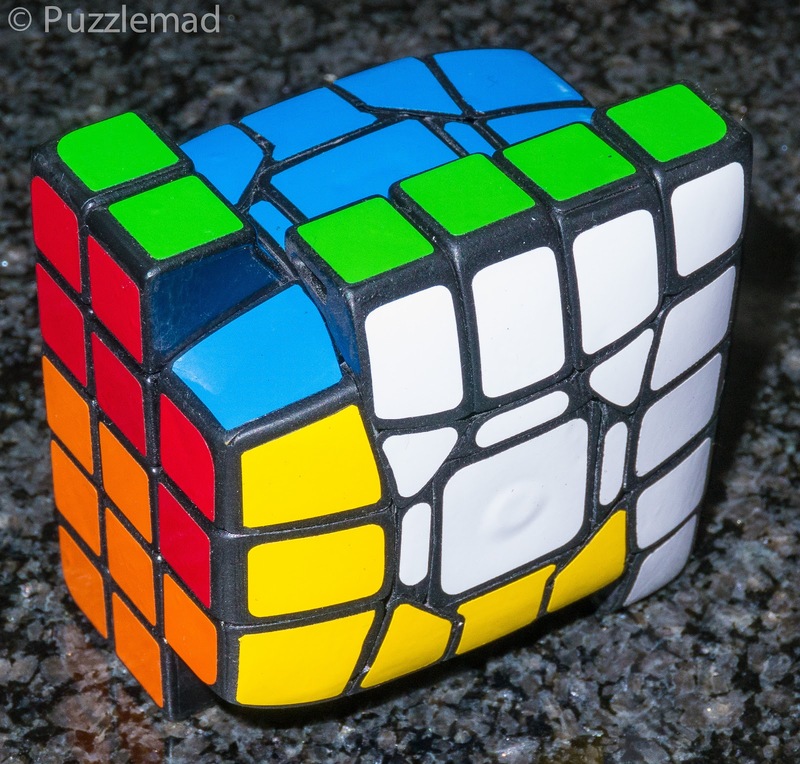 This is a smaller version than my favourite twisty of 2014 from Gr_Cubed - that was the 4x5x6 floppy iCube extreme! It is extreme because the offset is on 3 axes whereas this one is only offset on 2 axes. I still reckon it will be an incredibly tough solve! 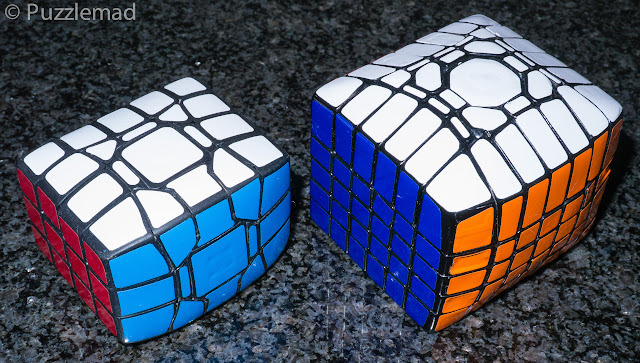 2 floppy iCubes - one extreme and one normal! Just a quick gratuitous picture of the Icosaix puzzle. 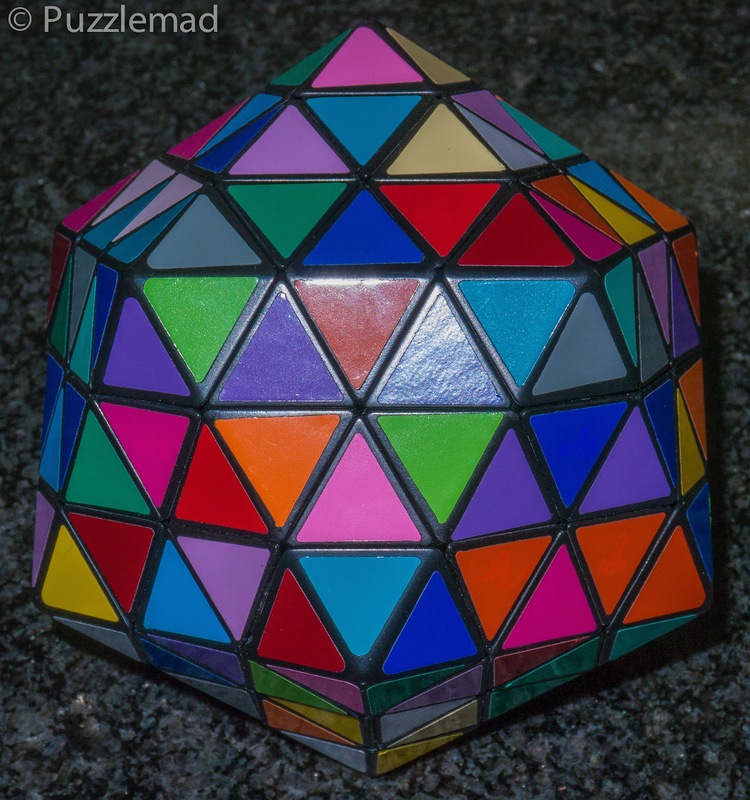 A twenty sided face turning twisty puzzle which I solved last weekend. 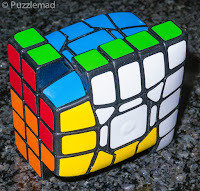 I have now solved it more than the once to prove that it was not a fluke! 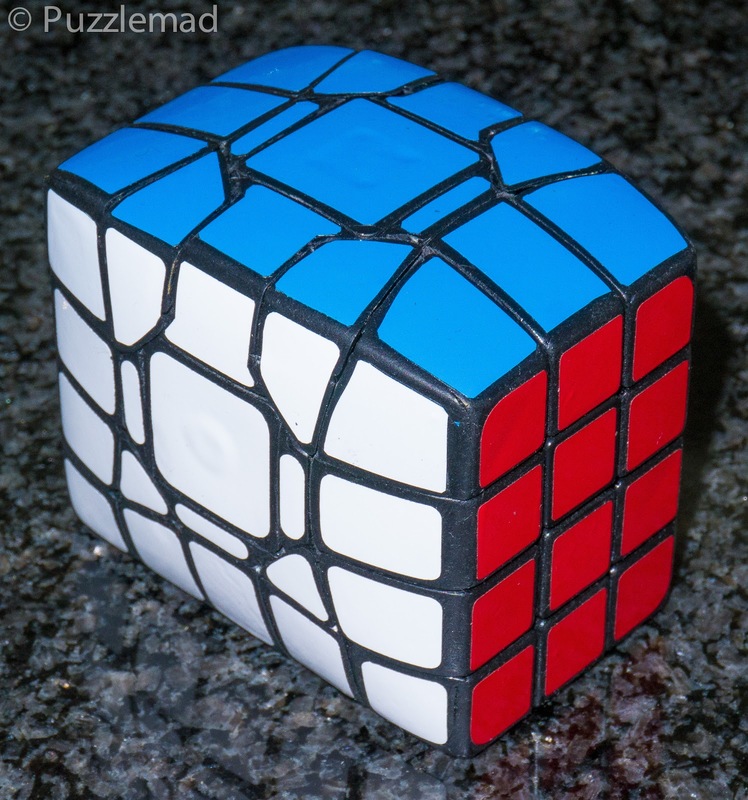 It actually is not as bad as it looks - You only need 2 variants of the edge piece series and a corner piece series to solve the whole thing! It is very arduous to place that many pieces! Looks fearsome but actually isn't!